Reviews of the Canon Powershot N from around the web. 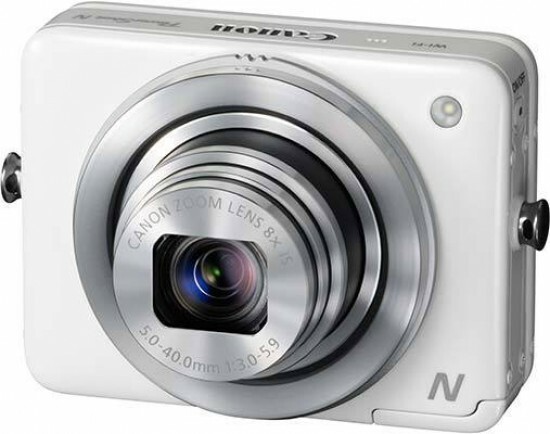 The Canon Powershot N features an 8x optical zoom lens, tilting touch screen and built-in Wi-Fi. Its square design makes it an unusual looking camera. The Powershot N is available in black & white and costs around £269. “That’s not a camera, that’s a toy!” That was the initial reaction we got when we pulled Canon’s PowerShot N ($300) from our pocket to show it off. Indeed this small rectangular shooter is a departure in camera design for Canon (at least in recent memory). The PowerShot N is aimed toward the millennial generation – a camera that’s connected, with an emphasis on fun – but we wonder if Canon went far enough to attract this user.